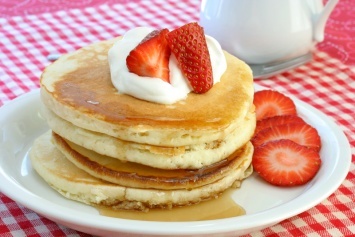 Pancake Day isn’t just a day to enjoy a plate of tender pancakes slathered in syrup or your favorite toppings. What we call Pancake Day is Shrove Tuesday. Shrove Tuesday is the day before Ash Wednesday, the beginning of Lent in the Christian religions. In 2018 that day is Tuesday February 13. 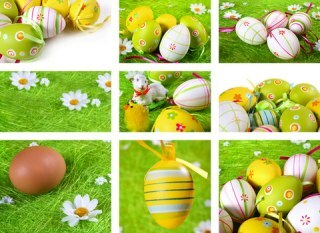 Traditionally Christians give up certain foods or habits during Lent, the 40 day period before Easter. In Anglo Saxon times, Christians would go to confession just before Lent and would be absolved of their sins – or “shriven”. So on Shrove Tuesday we are starting out clear from sin and beginning the fasting before Easter. 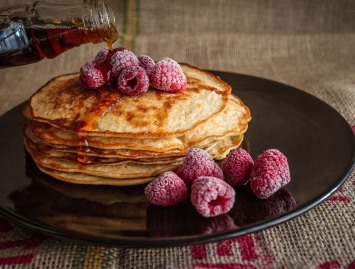 It is thought that people would make pancakes on Shrove Tuesday to use up the rich ingredients in their pantry, like eggs and milk, just before Lent, since they won’t be able to eat them during that time. Milk is a symbol for purity. In North America we tend to think of eating pancakes with syrup, pure maple syrup being the ultimate pancake topping. Brits enjoy pancakes with lemon juice and sugar or golden syrup. I come from a part German home, where light fluffy pancakes were often topped with applesauce. Pure delight and still a favorite of mine. So whether you are a pancake traditionalist, want healthy pancakes using a variety of flours (including gluten free) or want to try new pancake variations, you will find lots of tasty recipes for celebrating Pancake Day right here. Bring on the syrup! I call this first recipe our EASY pancake recipe, but they’re all easy. Just pick your favorite and go for it. Why not dress up Pancake Day for breakfast, lunch and dinner with delicate crepes? If you like this page please share it on your favorite social media sites.